I WISH I could jump as high as she does – even not taking into account that she is tiny. And I’m very grateful she doesn’t realize she could easily jump over the child gates we use to keep her in the living room. We leave her out and wandering about in a safe area until she’s had her fill and goes back under the bed. May the coming year be a good one. 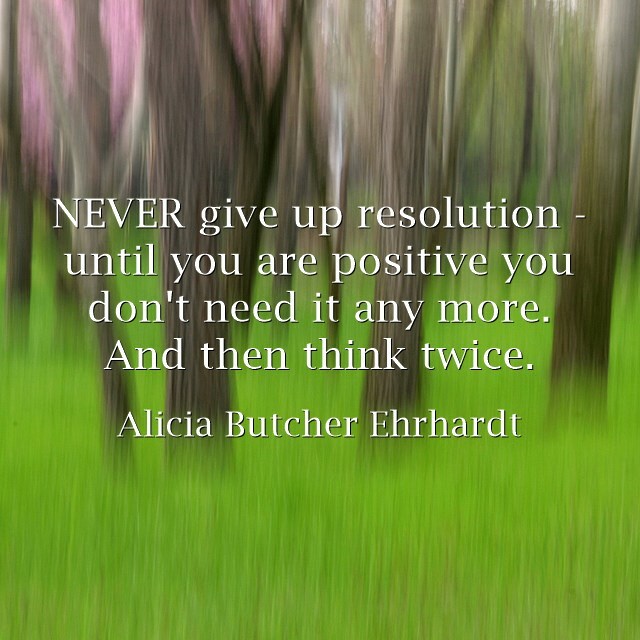 This entry was posted in Gen. Musings on December 31, 2015 by Alicia Butcher Ehrhardt. WordPress put together an annual report for me – and it says I have 73 posts this year, which, at an average of around a thousand words per post, would have made a decent-sized novel. I have gathered ALL my notes, timelines, and calendars – Book 2 is well on its way. 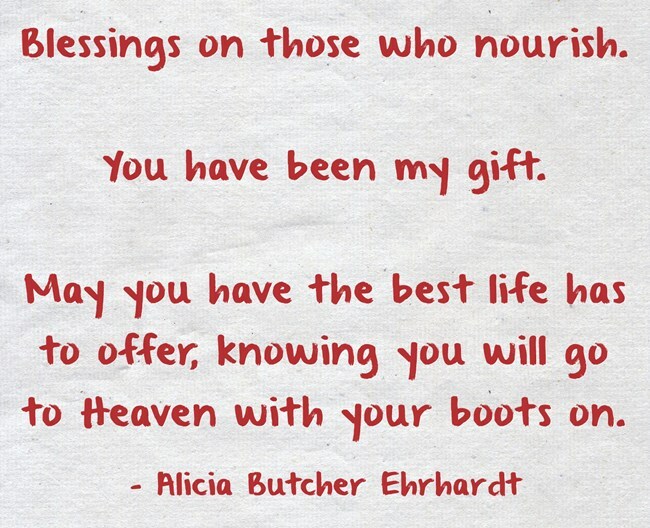 This entry was posted in Gen. Musings on December 29, 2015 by Alicia Butcher Ehrhardt. This came up today on The Passive Voice (a blog that should be required reading for anyone who reads and all writers daily), and Christina said it better than I can. She wrote a lovely warning about the dangers the review system is in – if those who want honest reviews don’t participate in providing them, and discussing Amazon’s changes and the choices faced by all sites with reviews on them. She has a lot of good points in her article, but the one that struck me the most was someone MUST have a reason for leaving negative reviews – and she mentions at least one possibility. But it’s almost impossible to prove. Negative review removal – NOT! The only defense against that is other reviewer and customers; authors are NOT successful when they complain about most negative reviews. But customers can click whether a review was helpful or not, and leave their own reviews, and enter into discussions on the ones that are there. Even NON-customers can do this. And report to Amazon that the review is abuse. I urge you to USE your power for good. This entry was posted in Gen. Musings on December 16, 2015 by Alicia Butcher Ehrhardt. DIY MEANS DO EVERYTHING YOURSELF! I have to admit that publishing Pride’s Children, incredibly soon to be available also in trade paperback, has been a constant rush – and a constant learning experience. Many of us indies create for ourselves an imprint – mine is now TRILKA PRESS. The imprint will cover several (or all) of our books), and may even some day turn into a company which publishes other writers. I did my Google-diligence: ‘trilka’ came up with only 3000 hits. And there was no ‘Trilka Press.’ Not even in Scotland where one of the few meanings for trilka (to take the trilka, to take the sulks, to become huffy) appeared. You can kind of see why. The yin yang symbol inspired this; but the yin yang symbol represents harmony and balance, and my story – and the symbol it inspired in my mind – is based on struggle as well as an intricate joining of the three main characters in a way which will become clear only at the end of the last book in the trilogy. So I had my name, and I had an idea, and I had learned to use graphics software Pixelmator on the Mac well enough to design my own cover. And as you know by now, that is enough to allow me to go off and running after this particular hare. A dear friend was going to do the logo – and then life changed on her and she is moving cross-country and she will be incredibly busy until the move happens in January, and then incredibly busy getting herself established in her new job and new profession and new place. A gift from the gods: name, idea, and semi-pro (?!) skillset. I couldn’t pass it up. Three days of my ‘good time’ went into making Pixelmator behave. I looked all over the internet for a way to make the colored sections look like stained glass. The first was rather expensive – and I needed such a tiny quantity. I went for the third option: make my own. The internet had a few interesting ways to turn actual photos into something that looked like a stained-glass painting (one I really liked is here). But these models were not usable – they relied on plugins and effects built into software I didn’t have. But they gave me ideas. To do what I wanted, I needed to use a series of effects which would give me 1) color variation, 2) texture, and 3) shine. To get the color variation, I stumbled on the Clouds effect – using two complementary colors. This is your color dabbing effect (sponge) in some other graphics programs. I picked a lighter blue for the second color. I had to repeat this step several times until I found a pleasing pattern – the effect uses a random generator, and some were not usable (red required a yellow second color, and the yellow, a black (IIRC)). Next, I needed something to texturize the surface. Do snow – and it looks as if you’ve used the cloud pattern to pile on glass beads. At this step, it looks like bathroom glass. Next was getting something with an ‘angle’ feel to it. Use the motion effect to make it streaked. Play with radius and angle controls to get short streaks. Now for some shine. Use Glass distortion to ‘melt’ the glass ‘beads’. It is almost perfect at this stage for what I wanted (YMMV). Then I used a final effect: Sharpen gives you a final sharpening to the glass facets if you like. And I was done. I learned somewhere along the way that when you license a commercial font to use it for your books, the license does not usually allow you to use the font in your logo – which is something entirely different, since it is placed everywhere, and is scaled up and down. To see what I mean, think of, say, the Coca-Cola font or the Harry Potter font: the exact fonts are very distinctive, part of the brand, and trademarked – so they don’t appear on other products but the licensed ones. When a font is used like this, the font creator cannot resell it – so the license fees are considerable. Then I remembered that, on a lark, I had created my OWN handwriting font a while back on MyScriptFont.com. (It’s free – leave a donation.) If you remember my first sunset cover, my NAME was in my own handwriting font. It wasn’t exactly what I wanted for the cover (and the font needs work because of a lot of things), but the site gives you your own TrueTypeFont – and you own all the rights. So I wrote out TRILKA PRESS – and went to work. Pixelmator (and others) allow you to turn a font into a shape – down to the level of individual letters. That, plus shapes in Pixelmator for all the black lines (duplicated and rotated using triangles and hexagons as scaffolding to get the correct angles), and the logo is finished. I’m rather fond of it – the creation was years in the making, and then the pieces came together when I was ready to build it. Have you created your own imprint, font, and/or logo? This entry was posted in Brain training, Epublishing and tagged blog construction, inspiration, logos, the creative process on December 12, 2015 by Alicia Butcher Ehrhardt. Do I HAVE TO write an Amazon Review? Do I HAVE TO write a review for PRIDE’S CHILDREN? Heavens, NO – you don’t have to do anything you don’t want to! But it occurred to me after several queries that many of my readers so far are NOT previous Amazon book customers – or even customers at all. 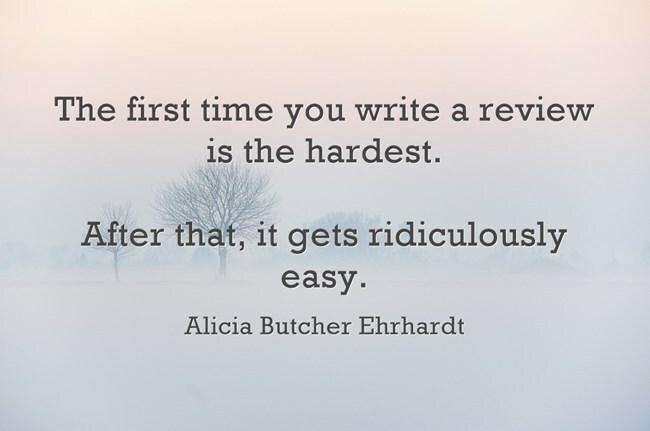 However, if what’s keeping you from writing one is that this is your very first review ever, I’ll make it easy by making the whole process familiar. 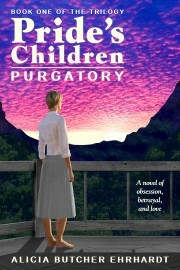 Where to start: read Pride’s Children: PURGATORY, Book 1 of the Trilogy. Go on; I’ll wait while you read. Estimated time: 10 hours. Heck, if you haven’t, you can buy the book or borrow it if you have Kindle Unlimited or Prime! here. Or get a reviewer copy from me (email me at abehrhardt [at] gmail). NOTE: all are OPTIONAL – you can skip any (except the first, which gets you here), quit any time, and change your mind any time, and come back later and change anything. Unless you want to write your own words into the review box, in which case you will have to click some number of stars. Pick a few words for your headline (it can literally be anything from ‘My opinion about…’ to ‘You will regret it if you don’t read this’) – the same words your would use in the Subject line of that imaginary email to your friend. That’s it – you’re finished writing a review. And have earned the author’s eternal gratitude. Not just mine – after you do one, you realize you’ve been wanting to express your opinion on a NUMBER of products – and I have launched you on your journey toward being a Top Amazon Reviewer and getting cool stuff sent to you to review. Remember, you don’t have to – even if you said you would. This is an entirely VOLUNTARY activity on the part of the reader. My FAVORITE response (thought reviews come a very close second) is still if you like Pride’s Children and want to see Book 2, tell your friends. Any questions? 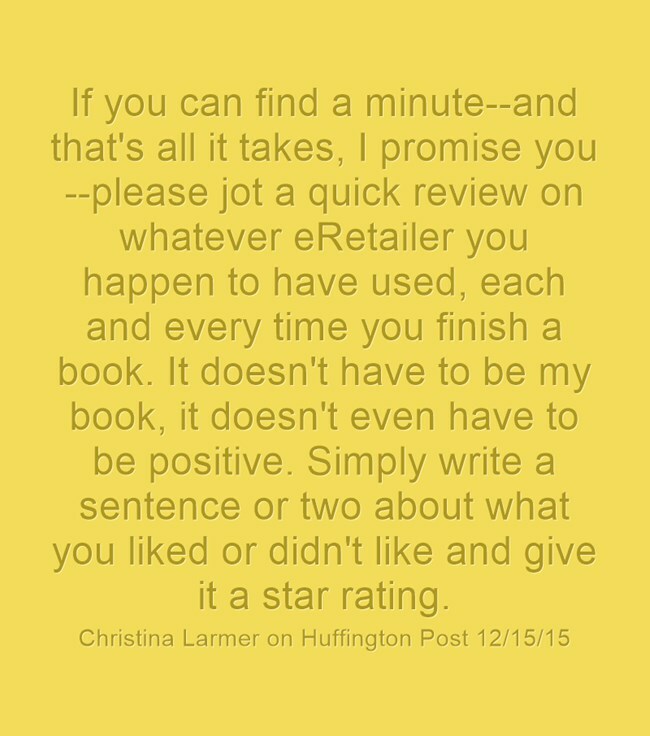 Oh, and authors don’t need to see the reviews before they’re posted. This is a READER process – and we’re supposed to stay out. This entry was posted in Epublishing, Gen. Musings, Reading and reviewing, This writer's life, Writing - how to and tagged contract with reader, Pride's Children, the creative process on December 9, 2015 by Alicia Butcher Ehrhardt. Every beginner has to make a certain number of mistakes, commit a certain number of sins (which everyone else already knows are sins), has to stub toes and fingers on obvious prominences. Maybe someone can learn from my mistakes. In graphics, picture quality goes one way: down hill. If you start with a high resolution picture, and reduce that resolution (squeezing the picture into a smaller space so it will fit on a blog post is an example), you can NEVER get it back. It is possible to do a pseudo-fix, manipulate a low resolution image into giving you one with higher apparent quality, but it is never easy, and is incredibly labor-intensive – just to get something adequate. Why? Because sampling down takes information from neighboring pixels, creates some kind of an average. But increasing resolution must INVENT data pixels. Out of thin air. Which is why images which have been edited to ‘increase’ the resolution usually look pixilated: you had one yellow pixel – now you have FOUR yellow pixels. And it’s still going to be imperfect. If you know something is smooth and continuous, you can use graphics tools to smooth out harsh lines with algorithms which use nearby data – and how the tool is used – as their input. I did some of that for the image on the cover of the Pride’s Children ebook. It matters less when the final product will not usually be seen at the higher resolution (your screen gives you 72 dpi images). But it matters a whole heck of a lot when you print. So why the talk of images, resolution, and high ground? Because I started the print cover with an image of a template from CreateSpace of where the lines and boundaries are on the print cover: you tell them what size your book will be trimmed to, and how many pages it has, and they make a downloadable frame that shows where to put everything. And I don’t know how, SOMEWHERE along the path of creating a whole cover, and without me consciously choosing it, the size of the image I was working on in Pixelmator went from 11 x 14 – to 5.5 x 7″. At the same resolution – 300 dpi (required for print). Which means that I will have to redo EVERYTHING. If I’m lucky, I will find out during the process what the heck I did, so I can avoid making that mistake again. If not, I have become extremely sensitive to image size and resolution of images (something I though I had mastered). I sincerely hope I will never have to do this again. NEVER work on your only copy of anything. When a computer forgets, it usually forgets very completely – by overwriting your data with whatever else you told it to write. Very stupid and very fast, are our computers – which we couldn’t live without. The second time around, I will take everything I learned in the course of the disaster – and repeat things much more efficiently. I learned which color adjustments to make, made decisions about fill, and how things might look, and which of my images were good sources for the material I need. But I’m going to be VERY careful this time around. I’m slow – it takes time and energy to reverse errors, making me even slower. Fortunately, not less determined. Just slower. And slower to get back to writing. It’s probably going to save me a lot of time somewhere down the pike. What has been YOUR most useful mistake lately? 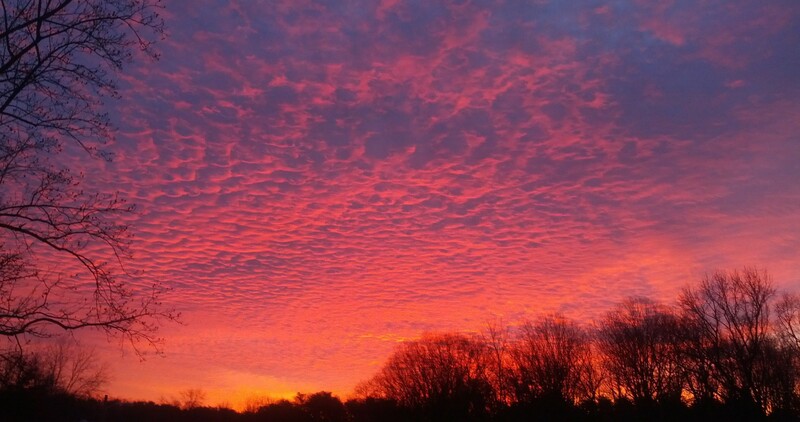 This entry was posted in Gen. Musings on December 2, 2015 by Alicia Butcher Ehrhardt.